Can I Claim Back My Solicitor’s Fees if I Win My Case? One of the most important issues you need to consider when using a litigation solicitor is the likely cost and whether you will be able to recover your costs if your case is successful. There are a number of rules and principles that govern the recovery of legal costs. I’ve set out below some of the key points you need to be aware of. There isn’t an absolute right to recover your legal costs, even if you win. The court will need to exercise its discretion before making a decision. This does not mean that it’s completely arbitrary. There are certain principles that the court must follow when exercising its discretion. In most cases, where there is a clear winner and loser, it’s likely that the loser will be ordered to pay the legal costs of the winner. 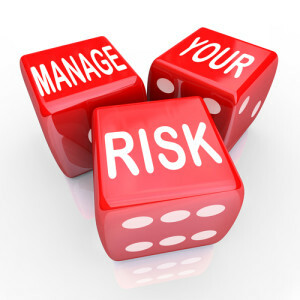 This is an important factor that you will need to weigh up when assessing the risk of losing a case. Not only might you have to pay your own legal costs, you may also have to pay the other side’s costs too. The courts will only award costs that are reasonable and proportionate. There is a process by which the courts will assess the successful party’s costs. This almost always leads to certain costs being disallowed. We usually advise that a successful party will recover about 70% of its legal costs. If a claim is for less than £10,000 it will almost certainly be allocated to the Small Claims Track, often referred to as the Small Claims Court. In the Small Claims Track, the court will only usually allow the successful party to recover very limited costs, such as court fees and witness expenses. A more substantial costs order will only be made if one of the parties has behaved unreasonably. Examples of unreasonable behaviour are rare but include lying or pursuing a claim that has no prospect of success. If you use a solicitor for a claim that is of particularly low value, there’s a very real risk that the costs of pursuing it will outweigh the amount claimed. Usually, you can only expect to recover your legal costs if you have actually begun the court process. There are some exceptions to this but usually you will not recover legal costs if court proceedings aren’t issued. One of the most important issues you should discuss with your solicitor is the likely level of legal costs. In larger cases, this could be significant. having to pay the other party’s legal costs if you’re not. A full discussion about costs will help you to decide how best to approach the litigation.